India and Russia have shown resilience and understanding to diversify their relations to match their interests. This trend will continue in 2015. It may be difficult to expect a spectacle in India-Russia relations in 2015, but it is certain that the relations will not deteriorate; rather it will gain substance. Both the countries will have stable regimes, unlike in 2014 when New Delhi witnessed change in regime, and more importantly both the countries have strong leaders in Narendra Modi and Vladimir Putin, who share camaraderie and a sense of pragmatism, which will likely permeate the bilateral engagements in 2015. Mark the words of Modi when he welcomed Putin in December 2014: “Times have changed, our friendship has not.” This spirit will pervade the relations in 2015. The ‘continuity’ element in bilateral relations is so strong, long and deep-rooted that the ‘change’ in national, regional and global politics and economics will likely unsettle the special relationship between the two countries. The Russian Defence Minister, Sergei Shoigu will visit India in the new year. The visit will display the importance Russia gives to the defence relations between the two countries. Russia remains India’s largest supplier of defence products, and this trend will likely continue in 2015. The response of Russian leadership to India’s call for ‘Make in India’ is particularly noteworthy in this regard. Even before the declaration of this drive, both the countries have BrahMos as a testament of joint design and production. 2015 may witness further widening of joint efforts in designing and producing fifth generation fighter aircrafts and military transport aircrafts. It is possible that a concrete roadmap will develop in 2015 in relation to these two defence items. Both the countries have myriad opportunities, and also myriad challenges. Some of the challenges are within the bilateral framework such as the one related Bilateral Investment Promotion and Protection Agreement (BIPPA), and some others emanating from outside the bilateral framework such as religious extremism and terrorism. The year will likely witness resolution of bilateral differences on trade and investment, and evolution of a consensual architecture on economic partnership. This is possible particularly as the leaders of both the countries realize the imperative of sorting out differences in a competitive global economy. It is also possible that both the countries will evolve a framework to trade in rupee and rouble as the economic sanctions have impacted the trade, and also goaded Russia to explore other alternatives away from a dollar dominated economy. Russia is also exploring a similar arrangement with China, and this drive may lead the RIC countries, and possibly BRICS countries, to have an economic arrangement to tame the economic crisis arising out of the conflict in Russia’s east. Will BRICS, in which India and Russia are key players, play a role of facilitator in the Ukraine crisis in 2015? This is a complicated question, but it may not be out of range that powerful BRICS players like India and China, who enjoy robust relationship with Russia, may use the framework to bring different parties to the conflict to the dialogue table. The sanctions might have affected the Russian economy, but this has not contributed to real peace and stability in Ukraine. Any role of India to end the crisis, keeping in mind Russian sensitivities, may be welcome by Russian leadership. India and Russia have shown resilience and understanding to diversify their relations to match their interests. This trend will continue in 2015. India expressed understanding at Russia’s recently concluded energy deal with Pakistan. At the same time, Russia expressed understanding in India inviting the US President to its Republic Day celebrations in January 2015. The challenges also include removing obstacles in speedy implementation of policies. It is rightly held that red-tapism is a big problem in both the countries. Some of the bureaucrats are caught up in a time-wrap and suffer from a biased approach. It is expected that Modi and Putin will address this problem by galvanizing the administrative machinery in respective countries to implement the policies. It is also an urgent need that people to people contact, and institution to institution, exchanges are encouraged to bring people together. There are some steps in this regard such as easing visa rules. 2015 will likely witness more such steps. The cooperation not only at the country level but also at city level and province to province level will also likely to be encouraged. 2015 will certainly be busier than 2014 in India-Russia relations. India and Russia will give concrete shape or implement various deals signed in 2014. Russia will build 12 more nuclear reactors in India for production of energy. The number may go up. Similarly, the agreements between Alrosa, the Russian diamond company, and Indian companies will witness more trade regarding cutting and processing diamond in India. Both the countries will sign landmark deals on defence. In consumer goods sector, another area – the diary products (besides the buffalo meat) may be added to the list. The list is indeed long. 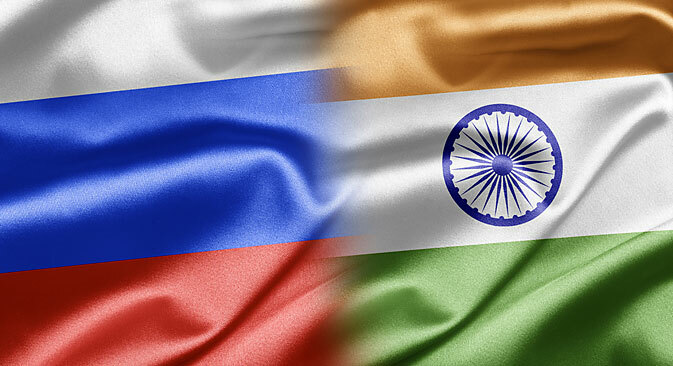 Good will and mutual trust notwithstanding, India and Russia need to revamp economic relations and clear bottlenecks. In the changing global order, economic diplomacy has trumped over political diplomacy. It is expected that both the countries will take steps to realize the goal of $30 billion trade by 2025. Not a tall order at all in comparison to their trade with China, and in keeping in view the potentials of cooperation. Russian expertise in defence equipments, space technology, building of smart cities, nuclear energy, and its natural resources of oil and gas are certainly elements of attraction for India. Add this to Indian consumer goods, pharmaceuticals, diamond processing, information and communication technology; the relations come in a complete package. Even if all the announcements, memorandums of understanding and agreements signed in 2014 are given concrete shape and implemented in 2015 – that itself will be a tall order. Peace and stability in the vast Eurasia will be major challenge for India and Russia in 2015. Whether it is the crisis in Ukraine or the transition in Afghanistan, or defeat of the Islamic state, or the evolution of a multipolar world order – India and Russia can work together for a better world. The international forces, led by the US, have officially withdrawn from Afghanistan. The Taliban has proclaimed itself to be victorious, and already expressed its sympathy for the Islamic state in Iraq and Syria. The emerging vacuum is a big challenge to multiethnic and pluralistic states like India and Russia. Other issues like SCO expansion, climate change, Arctic exploration, drug trafficking and money laundering too need attention of both the countries. It may not be a surprise that in 2015 both the countries push for a comprehensive convention on international terrorism at the 70th anniversary of the United Nations, and strengthen bilateral mechanisms to counter the menace. International relations in 2015, unlike in 2014, will be less compartmentalized and more cooperative. Isolation as a foreign policy tool will be less valued. India and Russia with their huge capital of good will and mutual understanding will contribute to this trend. Whether making international institutions fair and just, or infusing the spirit of friendship and cooperation into international politics, India and Russia will lead the trend. Both the countries will synergize their policy tools and make their ‘institutional dialogue architecture more result-oriented and forward-looking’ in 2015. It is quite in the range of possibility as the leaders of both the countries are dynamic and capable of taking quick decisions.